Geje Eustaquio wins his 3rd fight at One FC: Era of Champions. Geje Eustaquio got the success at title eliminator match against Kentaro Watanabe of Japan. Geje gave an impressive Unanimous Decision and got his chance to fight for the Flyweight title. In the early round Kentaro Watanabe landed a big right hand that hurts Geje and put him in a dangerous situation, but Watanabe can't capitalize and build to use his early momentum to finish the Filipino fighter. In a second and third round Eustaquio shows what he made of. He throws a lot of punches and kicks in the body that rocks the Japanese fighter. The fight was ended in a Unanimous Decision win by Geje Eustaquio. 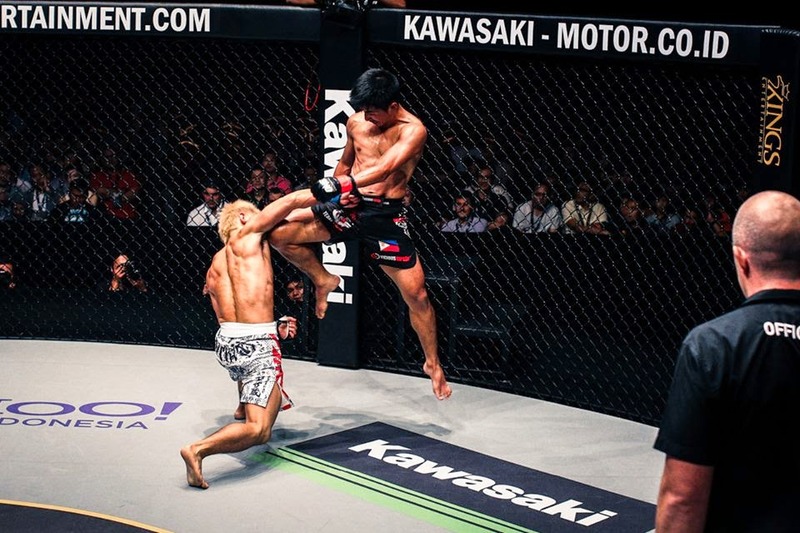 In the early fight two Filipinos failed to dominate, Jomanz Omanz loss via TKO (knees) from Dejdamrong Sor Amnuaysirichok of Thailand who got his debut match in a stirring 1 round TKO. While Ruel Catalan also crashed out by the Malaysian Fighter Gianni Subba via 2nd round submission win. These are the full fight card results of One FC: Era of Champions. With his impressive win against the Japanese fighter, Eustaquio is looking forward to face Adrian Moraes for the vacant Flyweight title. The title shots will be announced soon.